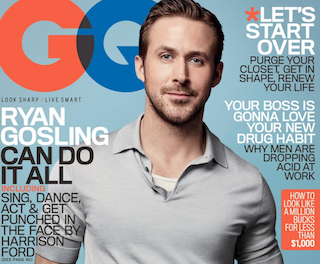 Ryan Gosling is GQ’s latest cover star. In the accompanying interview, Gosling—who is receiving heaps of praise for his latest film La La Land—told GQ about the time he got punched in the face by Harrison Ford. As Gosling explained, he was filming the upcoming Blade Runner sequel with Ford, and during one scene, Ford caught him. The aftermath involved just a tiny bit of apology from Ford.